Pacific Inn is a striking and decent property located in Block C, Uday Nagar, Sector 45, Gurugram. 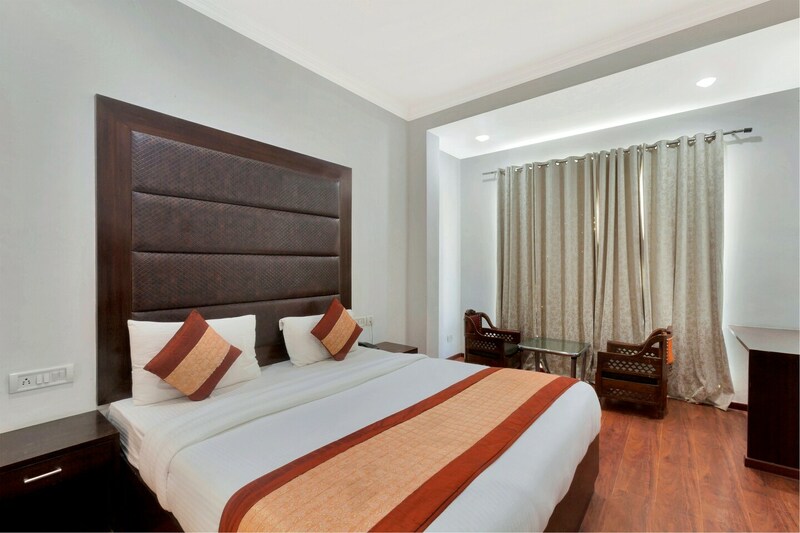 The nearest metro station is Huda Metro Station.The rooms are capacious and well-lit. The decor is modern and painted up in cool hues which give a cozy and comfortable vibe to the room.Each room comes with free Wi-Fi, AC, geyser, and TV. The hotel offers power backup, parking facility, laundry facility and has CCTV Cameras for Surveillance.The restaurants to explore nearby are Dunkin' Donuts, Twigly, KB2, Indian Bistro Company, and Nite Bites.For the guests who want to go on a shopping spree there are many popular spots mainly Star Mall, Monte Carlo, Raheja Mall, Omaxe Celebration Mall, and Coupon Dekho.